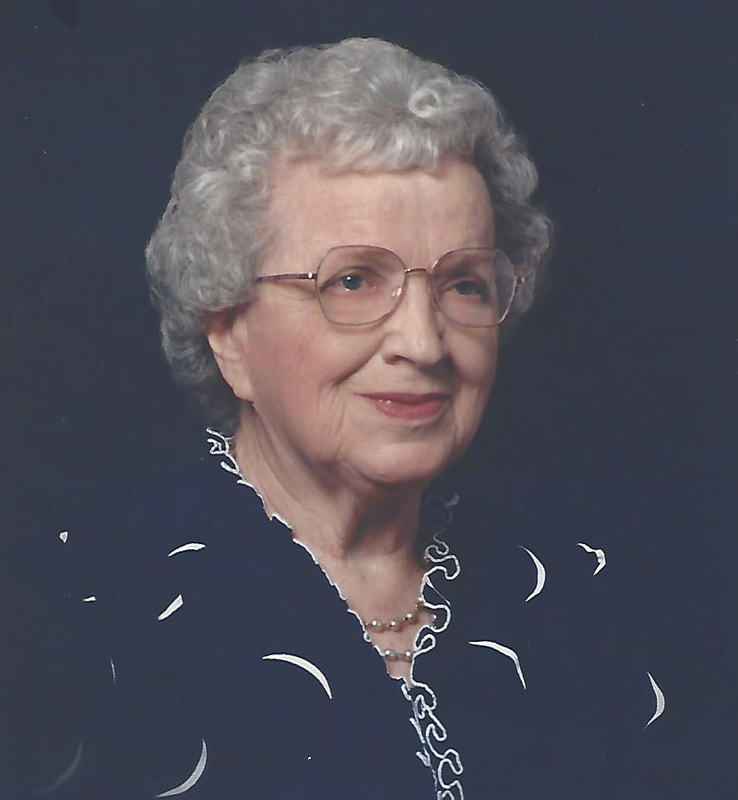 Cecelia Marie (Schuele) Gorman, 96, a former longtime Liberty resident, passed away October 24, 2018, in Kettering, OH, where she had moved to be close to her son, Joe, in Dayton. Visitation will begin at 12 noon, Rosary at 12:30 pm, and Mass of Christian burial at 1:00 pm on Tuesday, October 30, at St. James Catholic Church, Liberty. Burial will follow in Glenridge Cemetery. Memorials are suggested to the St. James Building Fund. Cecelia was born February 27, 1922, near Cedar Rapids, NE. the daughter of Henry G. and Pauline Mary (Wagner) Schuele. In her early working years, she was a communications person for Trans World Airlines, where she met her future husband, Joseph P. Gorman. They were united in marriage on April 26, 1952, in Liberty, MO. Her working career in Liberty included employment at G. M. Peters Insurance Agency, TG&Y and Mattingly's. She retired from Breiphol Drugstore. Cecelia was a longtime parishioner of St. James Catholic Church. Cecelia was preceded in death by her husband Joseph, in 1978, daughter, Deborah, in 2014, as well as three sisters, a niece and a nephew. Survivors include her son and daughter-in-law, Joseph P. Gorman, Jr. (Jeanie); grandsons, Jacob P. Gorman (Catherine Hays) of Indianapolis, IN, Justin P. Gorman (wife Andrea) of Kansas City, MO; great grandson, Leo P. Gorman; sister, Rita Homan; brother, John Schuele; as well as numerous nieces and nephews. Visitation will begin at 12 noon, Rosary at 12:30 pm, and Mass of Christian burial at 1:00 pm on Tuesday, October 30, at St. James Catholic Church, Liberty. Burial will follow in Glenridge Cemetery. Very sorry to hear of Mrs. Gorman's passing. Our sincere thoughts and prayers are with the family.